Our commercial service covers every type of heating system. That includes ductless systems, rooftop heaters, shop heaters and more. We will inspect your current heating system and recommend new installations only when necessary. If it is time for a whole new unit, our staff can make the proper installations at an affordable price. 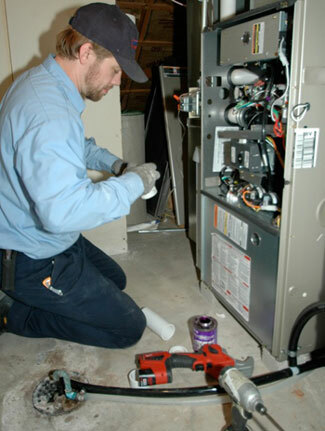 Whether you are in need of heating repair or installation, the qualified team at DESCO can get the job done right. We also offer preventative maintenance packages so that your system can remain in top-notch working condition all winter long. We have certified technicians available 24 hours a day, 365 days a year to cater to all your heating needs. Heating units can fail at any time without any warning signs. We have technicians standing by ready to fix both commercial and residential units. When a problem arises, take the worry out of the situation by phoning DESCO Services any time of day or night in Hanover at 717-637-2216 or Gettysburg at 717-337-3053 or York PA at 717-846-3384.